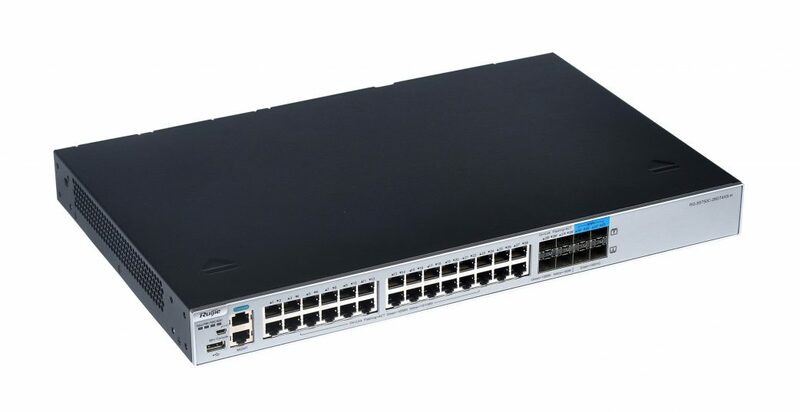 Ruijie RG-S5750-H Switch Series is a collection of next-gen multiservice switches, offering remarkable performance and enhanced security. Implementing an industry-leading hardware design and Ruijie’s latest RGOS11.X modular operating system, the switches offer better table capacity, improved hardware processing performance, and easier user operation. RG-S5750C-28GT4XS-H is member of RG-S5750-H series family.